Triple Dark Chocolate Muffins are easy, fast, and intensely chocolate–in the best way possible! 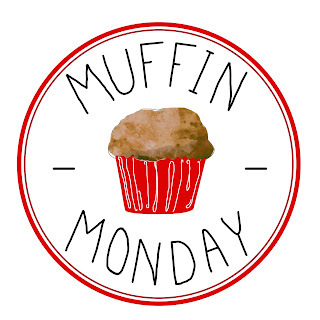 Keep reading to see what everyone else made for Muffin Monday. Affiliate links have been used in this post to link to items I am discussing. These muffins were born of last minute inspiration and a seriously overbooked week. Octobers have always been hectic, but ever since the schools switched to trimesters (this all happened when the Common Core was adopted by Ohio–and while it is true the Common Core is simply a set of standards for each grade, it gets confusing to discuss because so many changes were adopted by various states when they adopted the Common Core… I guess my point is that yes I am complaining, but not precisely about the Common Core), conference week, the Halloween themed Kids Night Out and Sammy’s birthday all hit right around the same week. I always cook and bake for the teachers because they stay into the evening hours to make conferences convenient. I have missed baking for the last two years for this particular Kids Night Out (parents can drop their kid off for 3 hours of fantastically fun mayhem at the school on a Friday night) because of the craziness. And of course then there is Sammy. For whom I bake a birthday dessert for a get together with my family, a get together with John’s family (for the first time ever I failed at that this year), a party with her friends and of course for her class. Did anyone else get exhausted reading that? Heck who knows, with my state of mind, maybe it wasn’t even coherent! Anyway, the point being with conferences this year on the actual day of Sammy’s birthday, I completely dropped the ball and did not take any treat to her class on the actual day. Thursday afternoon, when I had nearly despaired of finding the energy to deal with anything, I remembered that Muffin Monday was coming soon. Sammy! What about a chocolate muffin? No she wanted a cupcake. By which she meant she wanted frosting. OK I literally could have cried at the idea of trying to frost anything, plus I had made cupcakes with frosting just the previous weekend. So we negotiated and bargained (and I begged) and we finally settled on sprinkling M&Ms over the cupcakes. I knew exactly what I wanted, but I was not exactly sure about the ratio of ingredients after copious cocoa powder had been added to the mix. I went looking through many different baking books, before it occurred to me that Carole Walter has never really let me down. This time was no exception; these muffins started with her “Jeff’s Chocolate-Glazed Midnight Muffins” in Great Coffee Cakes, Sticky Buns, Muffins & More: 200 Anytime Treats and Special Sweets for Morning to Midnight , one of my favorite all time cookbooks. Truly–if you love homey baking, you must own this book! The verdict? First, these dark chocolate muffins are seriously chocolate-y (that’s a good thing). Second, I want to experiment with using M&M’S Semi-Sweet Chocolate MINIS Baking Bits inside of the cupcakes, because while I loved the texture of the M&Ms, they definitely did not turn out very pretty. Luckily Sammy seemed oblivious. Last, these muffins rock. Let’s face it they are dessert muffins, but they are a heck of a lot easier than frosting cupcakes or creaming butter for cake. I don’t have any pictures, but I especially like the mini muffins I sent to one of John’s classes, just because with that intense chocolate flavor, a few bites definitely was satisfying. Your daughter is a good sport, Laura, and I can’t believe you have time to sleep with all that going on! Triple chocolate muffins are the best! I hate to be the bearer of bad news, but Mars no longer make the mini M&Ms in semi-sweet. I’ve written them to ask! You can get reasonable facsimiles from Nutsonline.com though. I hope with October coming to an end things slow down for you a bit. I am sure that these muffins were enjoyed every bit as much as cupcakes would have been. Happy Birthday to your daughter. Happy birthday to Sammy! She deserves a gold star for being a good sport =) Your muffins sound delicious and look just fine! So glad your internet cooperated and you were able to post! I love mini chips in muffins–they seem to stay in the batter better. Say that 3x fast. I’m glad you were able to satisfy conflicting desires and make Sammy’s 17th birthday treats (or maybe it just seems like you’d already made 16 other types of birthday treats for her this year) special. Here’s to the end of October! How do you even keep all of that straight? Wow. I hope it has all slowed down now and you have a chance with relax with a few of those delicious muffins!